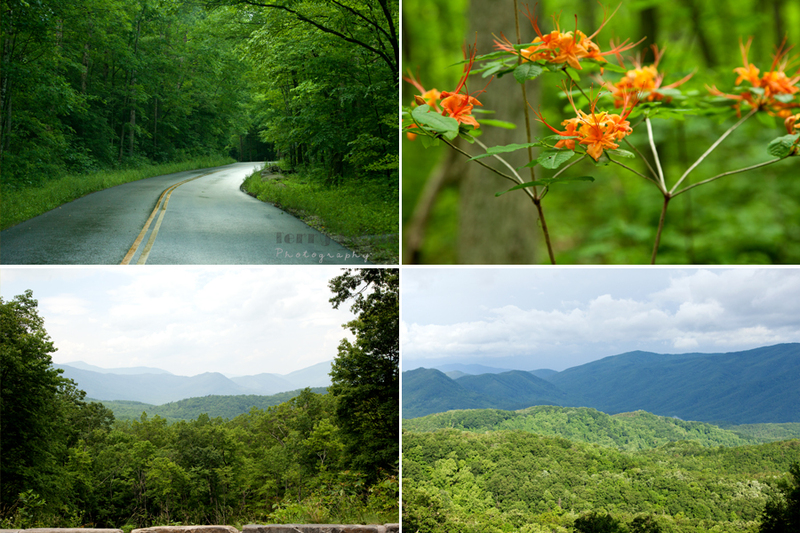 I love that we live in the mountains, but something has always made me want to visit the Great Smoky Mountains National Forest. Perhaps I’m just susceptible to advertising (I am) or it’s just that typical it’s-not-here-so-it-must-be-better mentality, but I really wanted to visit Gatlinburg, Tenn. It’s been a couple years since our last group family summer vacation and most of the memories of the horrors joys of the last family vacation have passed, so my sister and I decided to get the clans together–and invite the mom–for a trip to a cabin in the woods! The weather was pretty fantastic, considering!! There was a bit of confusion about how I had intended to spend the vacation time (HIKING, HELLO!?) but we got moving eventually and had a fabulous time! Our first trip out we went along the Roaring Fork Motor Nature Trail. I did not plan my trip well. I truly thought it would be similar to Skyline Drive–where you find dogs on leashes along the trails. 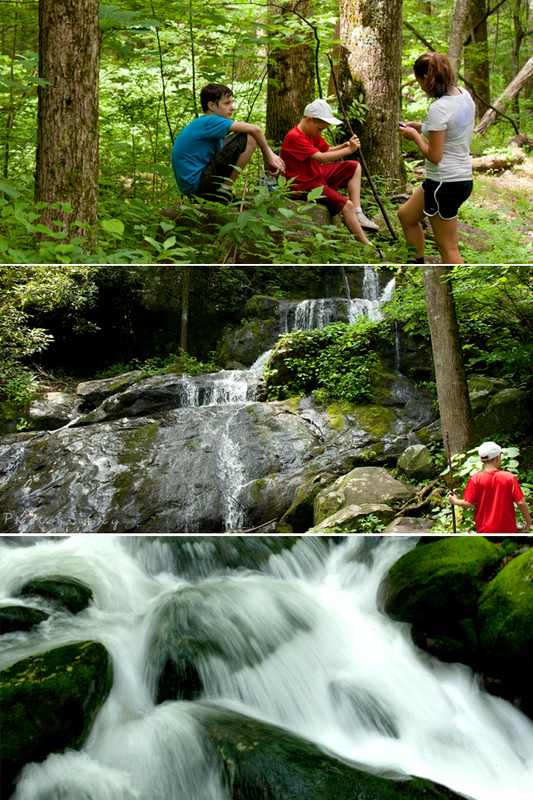 There are pretty much no trails in the Great Smoky Mountain National Forest that allow dogs. Our poor Golden Retriever was just devastated! It also caused my brother in law to take the pup back to the cabin while we continued on the one-way paved road with amazing historic structures and the Roaring Fork and LeConte creeks. This is the Noah “Bud” Olge cabin and the former farm. 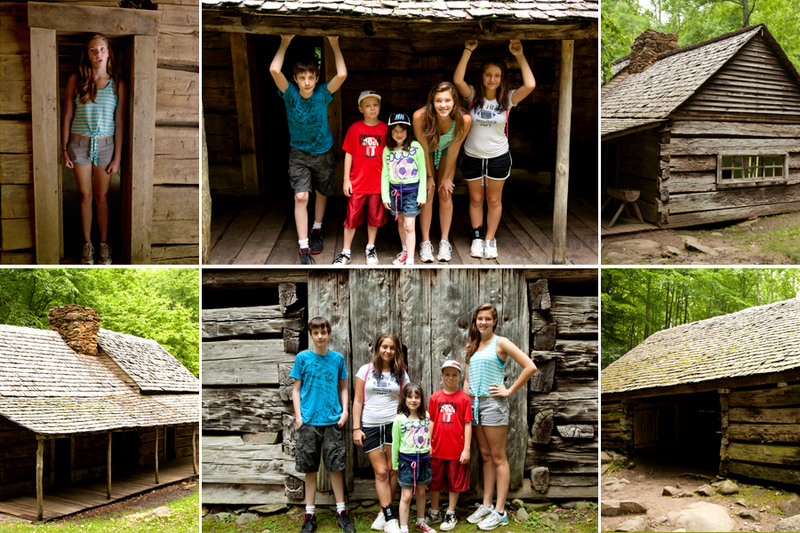 This family was one of the first to settle in the mountains. Yes, my children are huge when you look at how small the door frames are! 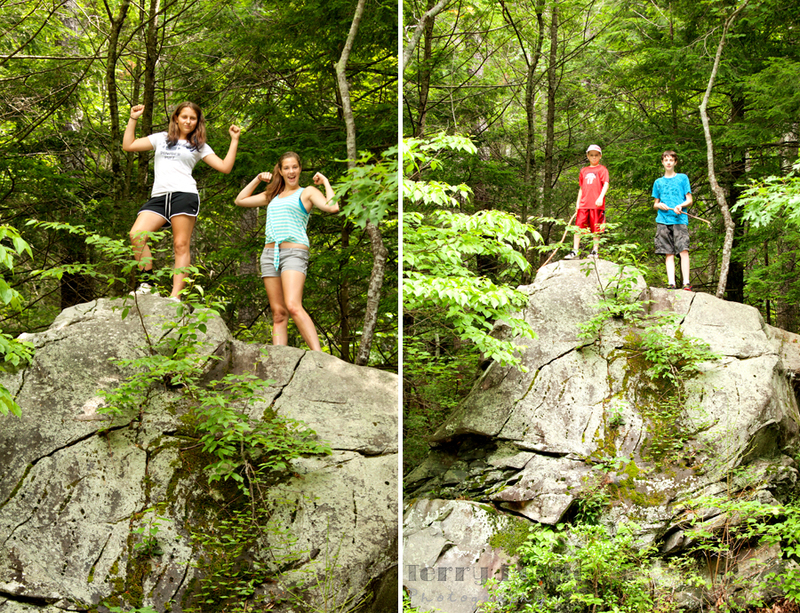 These rocks really are way high up there! 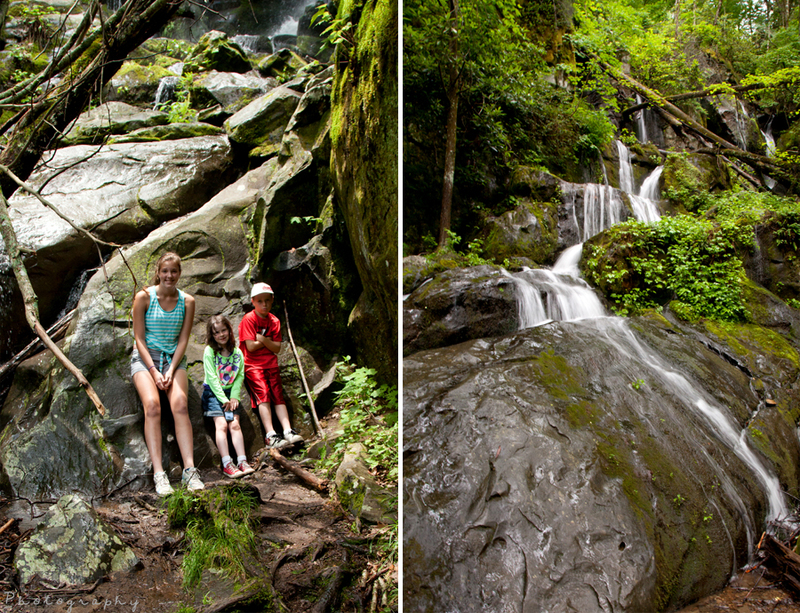 Along the Roaring Fork Motor Nature Trail was Grotto–the three on the bottom above, which allows you go behind the waterfall–my sister and her family (minus my niece who was not keen on the whole hiking thing) above. Half-way up the mountain my husband was pretty sure he wanted a divorce. We were greeted with an amazingly refreshing thunderstorm on the way back down so it all worked out! We did this trail on another day! My mom was kind enough to wake up with me early one morning to go for a hike. 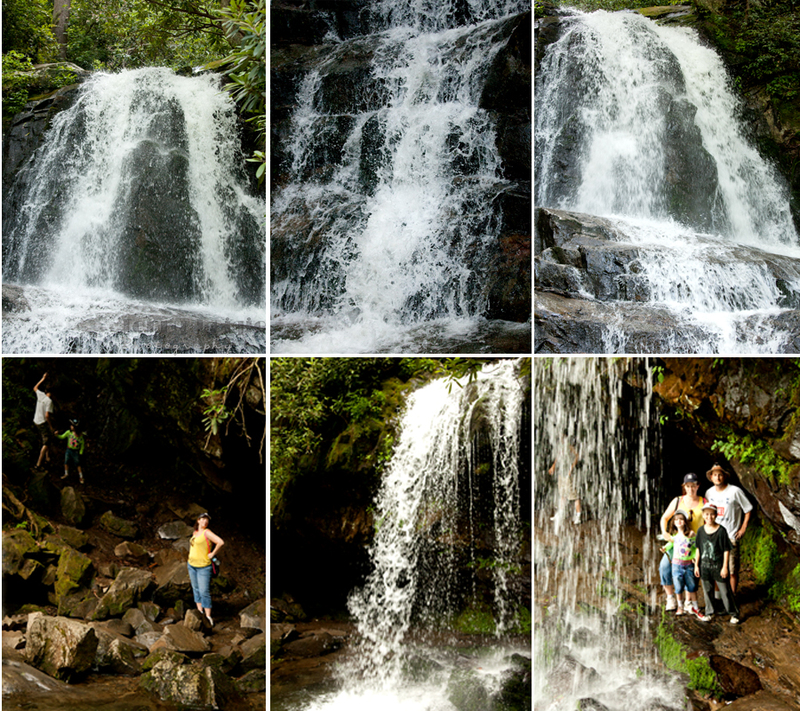 We hit Laurel Falls, the top three in the photo above, which was just gorgeous. 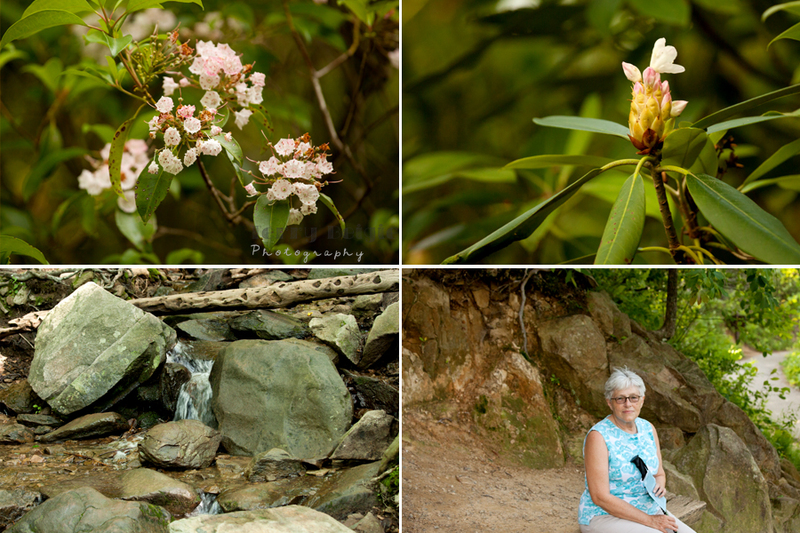 Here is some mountain laurel and rhododendron that had not yet bloomed. And my mom sitting in the spot along the trail called “Picture window.” I did both Grotto & Laurel Falls in one day, the rest of my family did not. Love the pics Terry as always great shots…. This motor trail takes visitors back in time,weaving a story of the people who once lived here, while showing off the immaculate Eastern Hemlocks. 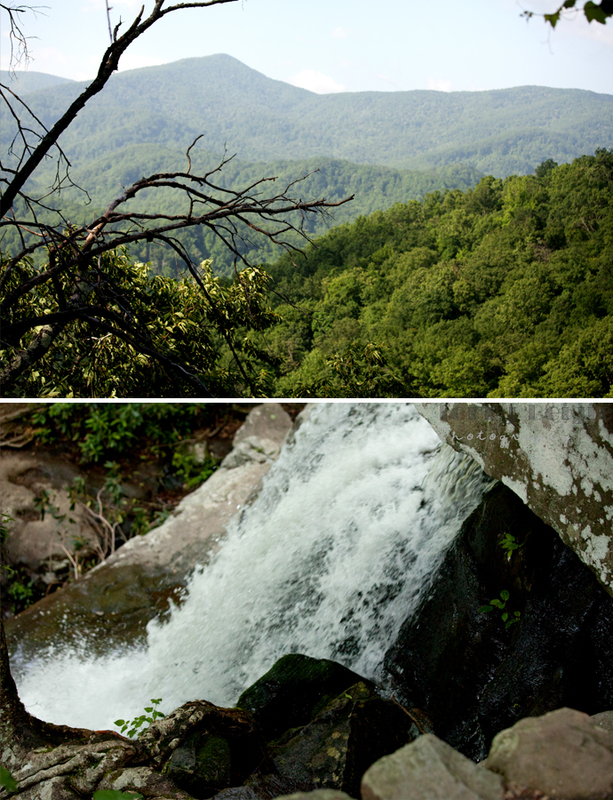 Below these evergreens thrives an underscore of rhododendrons, azaleas and mountain laurels. An abundance of birds and wildlife greet you, as the river remains a constant companion along your trip. Pingback: Arts & Crafts In Gatlinburg, 2013 | Cotton Ridge Create!